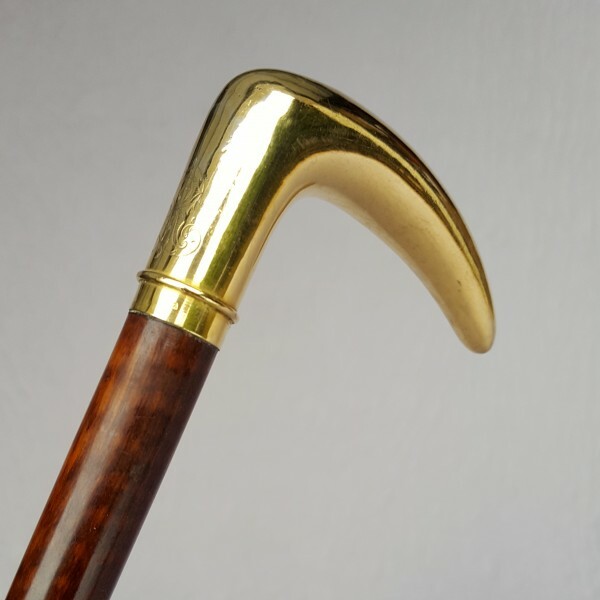 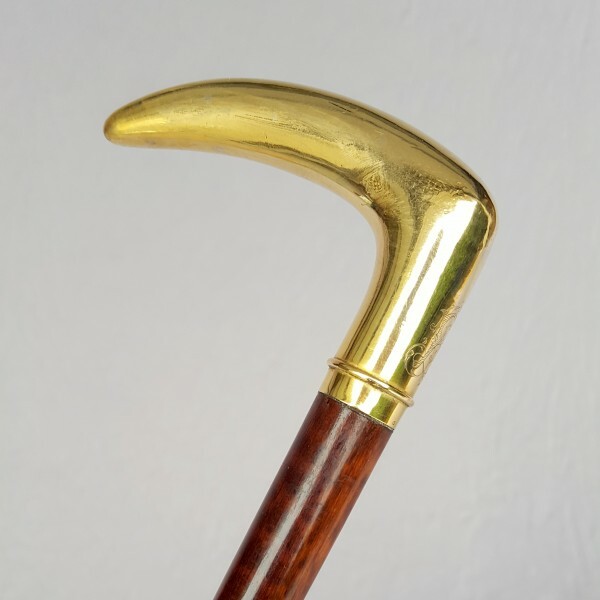 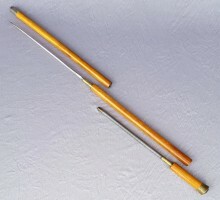 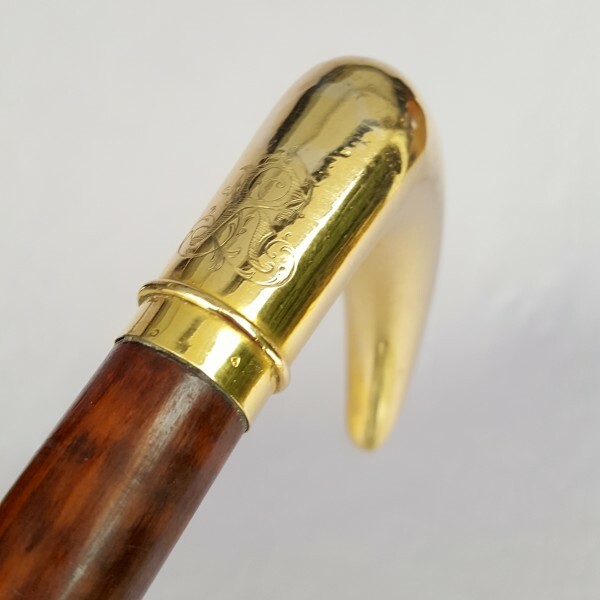 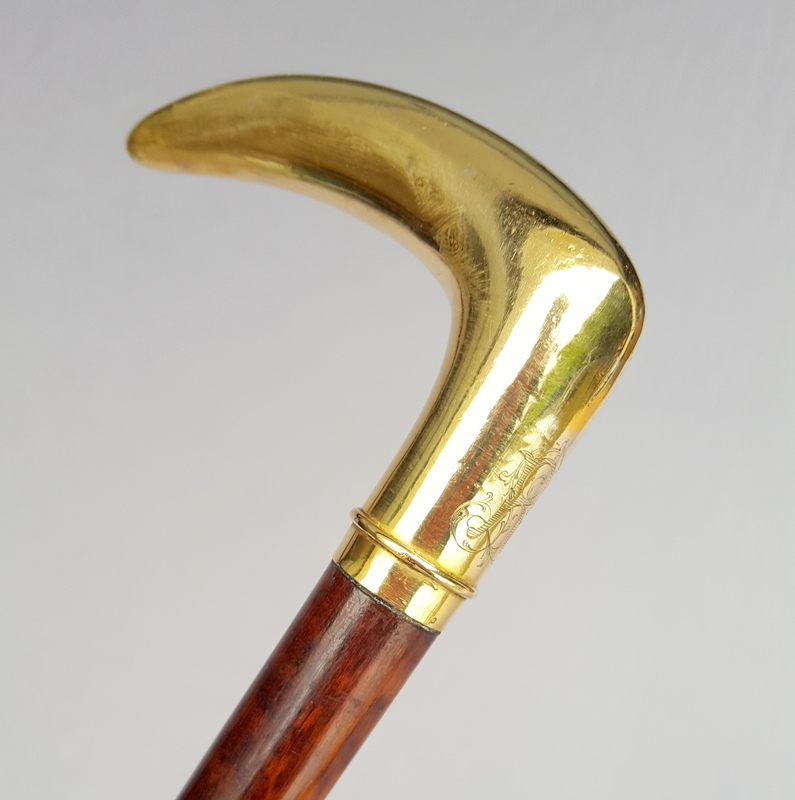 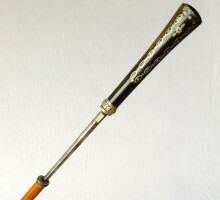 Gold handle walking cane. It is engraved with CR monogram. 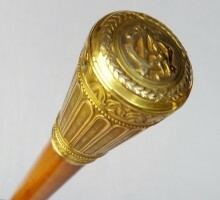 Gold hallmark, eagle head. 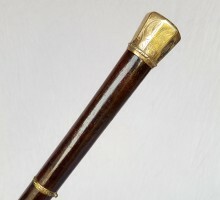 Precious wood called “Amourette wood” in France (Kind of rosewood). 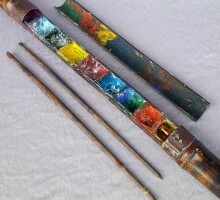 Metal ferrule. 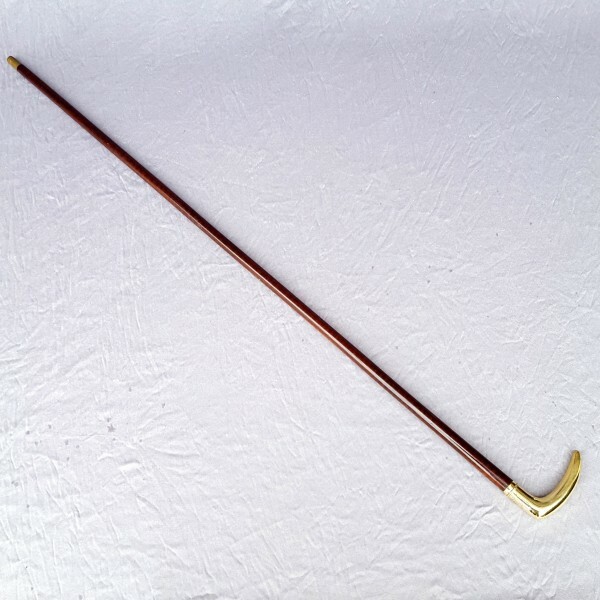 It is 35,43″ long. 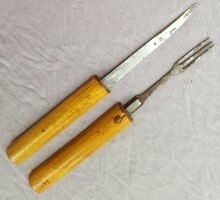 It is in perfect condition.